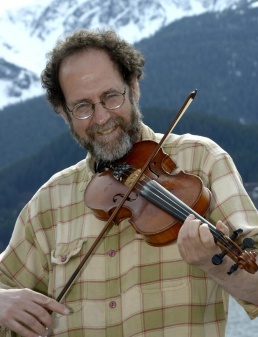 Ken Waldman combines Appalachian-style string-band music, original poetry, and mostly Alaska-set storytelling for a performance uniquely his. Since 2000, Ken has had published nine full-length poetry collections, a memoir, and a kids’ book, and has released nine CDs that combine old-time Appalachian-style string-band music with original poetry. A full-time touring artist, he performs internationally in a wide variety of venues for a wide variety of audiences, from the Kennedy Center Millennium Stage to the Woodford Folk Festival in Queensland, Australia. Here, for his first Little Rock area appearance in more than a decade, he comes solo, though likely will be joined throughout the evening by a guest accompanist or two. He’ll read or recite poems, tell stories, and play fiddle tunes. What makes this extra-special: After each poem or tune, he goes into the audience to give away the book or CD that contains the piece he just shared. This show, then, is part traditional roots music concert, part literary reading, part storytelling festival, part holiday gift exchange. Ken adapts each show to place (so here, for Potluck & Poison Ivy, he promises not only an evening of fun, inspiration, and surprises, but to expect Arkansas musical guests, plus a few poems and stories he wouldn’t usually include, as well as special treats, maybe a tasty experiment or two). What else? He’ll also undoubtedly write a new poem for just this occasion.